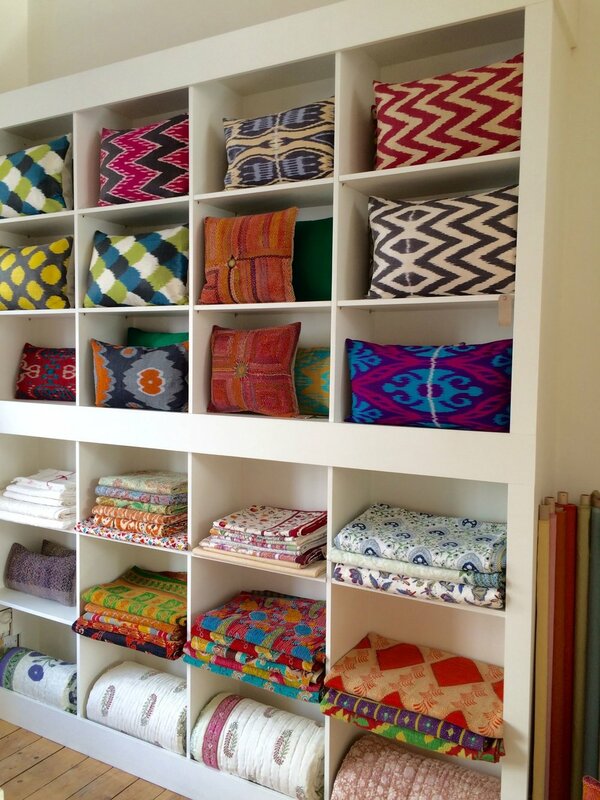 Warris Vianni & Co is a London textiles store located north of Notting Hill. We have a background in contemporary art, garden design and law, and share an avid interest in India, from where we source most of our textiles. India, with its lawless sophistication and the commotion of its political economy; its maddening magic and never-ending surprises is also extraordinary for something that is little remarked upon: that such a rich and complex civilisation arose despite that climate and that weather - where, in most parts, it is just about nicely comfortable for about two weeks in a year. And also that unlike its ancient contemporaries, Greece, Rome, Egypt, Persia and China, the civilisation of India displays so much continuity from its past. India’s extraordinary heritage of artisan skills, which flowered to great magnificence under the patronage of the Indian emperors from the 17th to the 19th centuries, provides great vernacular diversity in textiles to this day. But, its most productive days are now probably numbered. Skills are being lost as artisans are lured by the temptations and promises of 21st century modernity. We may regret this, but we also celebrate what is still possible. This continues to inform what we do. Nearly all of our fabrics are specially manufactured for us. Woven with natural fibres, the fabrics are produced using slow methods of production requiring great skill - from hand-dyeing to weaving on hand-operated wooden looms, or printing by hand. These processes impart a character to textiles difficult to obtain with highly-machined modes of production. Our range of fabrics is complemented by a regularly changing collection of textiles for interiors, which are also the product of proud craftsmanship: rugs, cushions, throws, bedspreads and curtain panels. In addition to home textiles, we also have shawls and scarves in cashmere, silk and fine merino wool. Our offering combines a richness of process with a subtle colour sensibility.